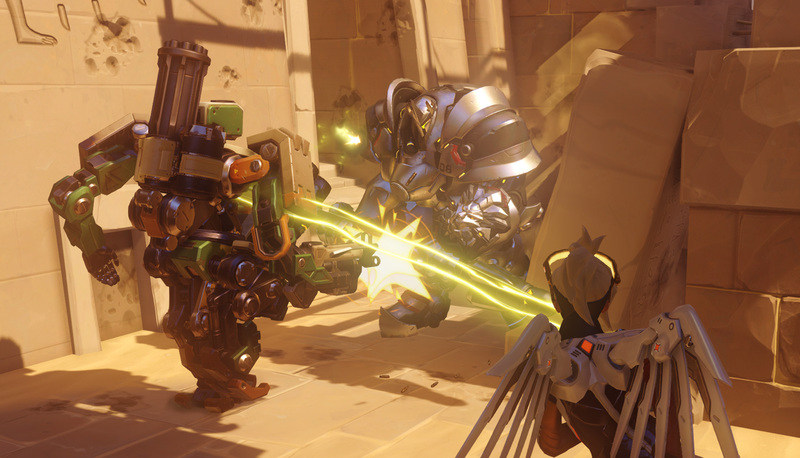 Since the beginning, Overwatch has been misunderstood by a lot of players. There seems to be a lot of internal struggling, a lot of people who don’t quite understand what it takes to be successful. So let’s begin with the most basic concept of the game: at it’s core, Overwatch is a team-based game. It’s not team based in the way that Battlefield, Call of Duty or Halo are; this isn’t a red team vs. blue team deathmatch centered around which team get’s the most kills or a giant free-for-all with some objectives. Overwatch is a tight game in which two teams of 6 are pitted against each other with an objective that isn’t about kill count or individual prowess, but rather about how the team works as a whole. That being said, there are a few key tips which must be heeded if you want your team to do well and win. Whether you are new to Overwatch or simply finding it hard to be successful, I hope these tips are as helpful to you as they have been to me. Team composition, or the characters which are chosen to make up your team, is one of the most important aspects of Overwatch. 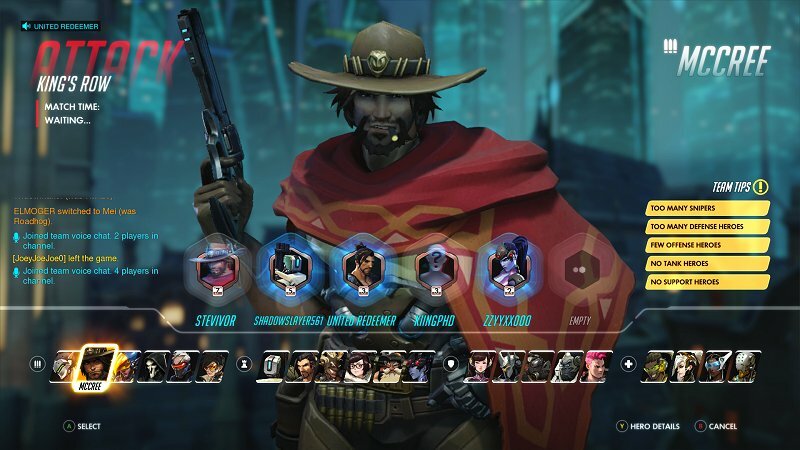 There are over 20 characters to choose from in Overwatch and each has their own unique set of skills. Given that there are two competing teams of 6 playing in differing maps with a few different objectives, composing your team properly for each individual scenario is not only a good idea – it’s a smart one. Every match you play is different because every team you play against is composed differently and even your own team may be different every time. At the end of the day, all variables aside, it’s simple: you cannot win if your team doesn’t chose the right characters for the situation at hand. Sometimes this can be difficult, requiring you to switch characters more frequently in the beginning until your team finds a composition that works. Don’t be afraid to switch characters once you realize the one you picked simply isn’t working for you or your team. It doesn’t mean you are bad with that character or that you are bad at the game, it simply means that in this map against this team at this time that character simply isn’t working. Sometimes the enemy team just knows how to best counter your character and there isn’t much you can do, so instead of holding out for a game changing moment that may never come it’s best to simply switch to a character that will work better at that time. Proper team composition is based on two main factors. The first and most basic factor is the one that the game reminds you of when on the character select screen. The little prompts on the right side of the screen that say things like “No Healer” or “Too Many Snipers” are the first indications of what your team needs or doesn’t need. If you are the last to pick and notice that the “No Tanks” prompt is showing on the side, then you should probably choose a tank or encourage one of your teammates to switch to one. It’s important to note that composition should never come down to who chooses last, it’s something that everyone on the team is responsible for at all times. No one person should be forced to play a healer, for example, simply because no one else wanted to be one. 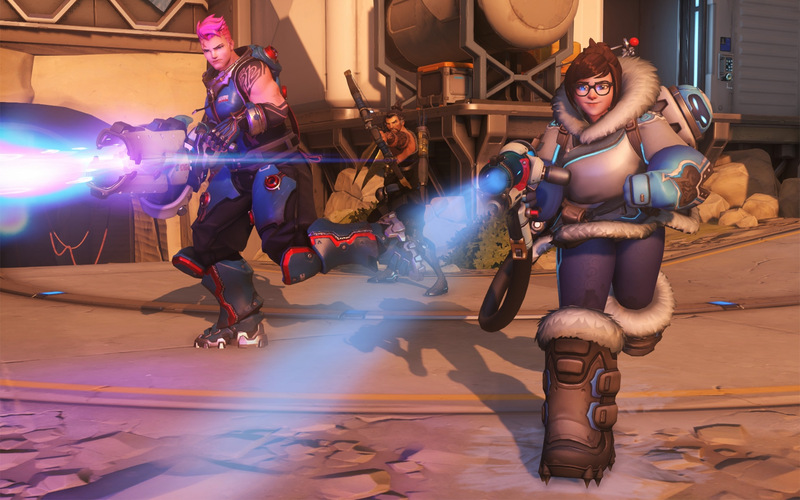 If your team isn’t willing to work together to properly compose their team then it’s likely the team will ultimately fail, which sadly happens all too often when playing Overwatch. There is more to playing your character than simply picking the character and playing them. As I mentioned previously, there are over 20 characters to choose from in Overwatch and each of them is different, meaning that each of them is played differently. For example, say you want to play an offensive character because you want to get in the battle and do some damage. You decide to pick Genji and just rush into the attack point over and over, getting killed each time yet repeating the same mistake. In this moment you aren’t playing your character. Genji is a character with low health and high impact who requires someone with good aim and patience to play. Using him to rush into a zone alone that is full of 6 enemies isn’t smart and wont help your team or you. It takes time and practice, undoubtedly, but understanding what each character is good for and bad for is crucial when it comes to playing the character your choose. If you find that your team’s Zenyatta is focusing less on healing your team and more on eliminating the opposing team, then they aren’t playing their character. If you notice that your team’s Reinhardt is focusing on chasing down the enemy team’s snipers instead of protecting your team and defending your objective, then they aren’t playing their character. Arguably, every character can work in every map/objective depending on how the player utilizes their kit. That being said, there are certain things that certain characters must do. With Zenyatta, it’s a balance between using your discord orb on the enemy and the harmony orb on your teammates. With Reinhardt, it’s about shielding your team and protecting the point or moving the payload. Sure, you may be able to get a lot of eliminations with Zenyatta due to his discord orb and obs of destruction being combined to pick off the enemy at a distance but he’s also a support character and needs to be healing his team, not just getting eliminations. Same goes for Reinhardt; he does a lot of melee damage and has high health so picking off enemy stragglers may be useful sometimes but at the end of the day he is best used in defending a point and his team. Playing your character is all about choosing the right character for the current situation and playing them how they are meant to be played as opposed to how you want to play them. There are plenty of examples of this, as well as counter examples to those examples I’m sure, but to be as general as I can possibly be I will say that the most important aspect to playing your character is to simply benefit your team as best you can. Maybe your team has two healers and so you can focus more on eliminating than healing as Zenyatta. Maybe the enemy team is very scattered and aren’t paying attention to your team as a whole or the objective so you decide to go get some eliminations as Reinhardt without being a detriment to your team. It depends on what is happening at the moment and you should always be ready for variables. Nothing is ever as simple as “pick a tank, be a tank and win” due to the amount of differing factors so keep your head in the game and be sure to play the character you choose. Every team needs a healer. I find that two are better than one in almost every match, but there needs to at least be one and there is no way around that. Since every teams needs one and should have one, it is up to the rest of the team to make sure that the healer is protected and defended properly throughout the match. Healers don’t have a lot of health and aren’t typically best used as both offensive and support characters at the same time and they tend to have an especially hard time defending themselves in 1v1 scenarios. You can’t heal your team if you are having to defend yourself and most likely dying repeatedly due to having poor defenses, so defending the healer quite literally keeps your alive. It’s a very simply yet often neglected concept. Support characters are huge targets on both teams. For example, you know that when you see an enemy Mercy healing their team that she needs to be taken out before you try to kill the entire enemy team lest she continue to heal or resurrect them before you can kill them all. Likewise, the enemy team is thinking the same thing about your team’s Mercy so it’s in your best interest, if you want to stay alive that is, to keep your Mercy safe in this case. If she dies, you wont be healed and can’t be resurrected until she comes back and by then it may be too late. This same concept goes for every healer on every team. 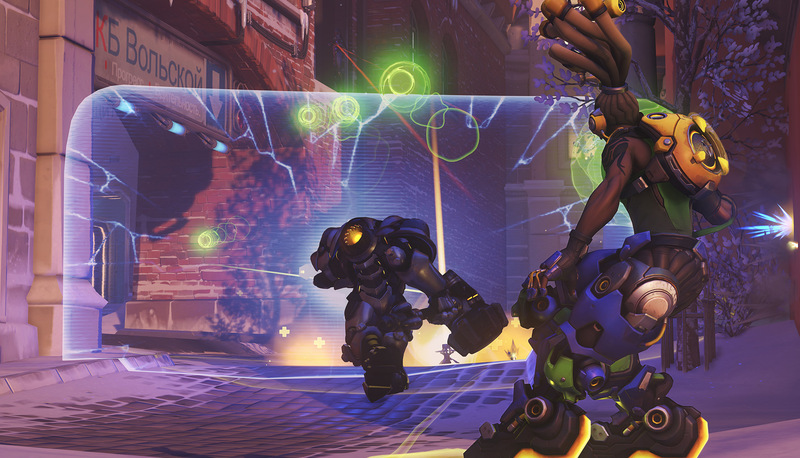 Just because your Lucio looks like he can defend himself, and maybe often he does, you still need to be paying attention to him and helping him out when he gets overwhelmed or the enemy tries to single him out and pick him off. If you want your team to be successful then you must be conscious of your healer’s location and be able to help them while they help you. Don’t forget that when it comes to Overwatch it’s all about teamwork. “Don’t trickle in.” – Grouping up is another crucial part of winning. When your team runs in to capture a point one at a time without planning with their team or grouping up to go in together it starts a chain reaction of death and respawning which leads to defeat. Being part of a team means working with your team, so be sure to make sure you always group up and attack together. “Use cover.” – You don’t have to run into a point as fast as you can to capture it, be it with or without your team. Keeping your distance, using your tank’s shields as cover (standing behind a Reinhardt or a D. Va) and/or staying back and attacking from a distance (if applicable with your character) are all strategies which are often neglected. This goes with the other tips I have brought up; if you Reinhardt is playing his character and keeping his shield up to protect you while you attack then utilize it. Don’t run out in front of the shield trying to be a hero only to die instantly having accomplished nothing. “Stay mobile.” – This point was brought up in regards to snipers staying mobile to avoid being picked off by the enemy team, but I think it is a tip that is useful for most characters in most situations. Even within the point you are defending, stay on your toes and keep moving around to check all possible entrances for the enemy. Standing in one spot and only watching the front leaves the sides exposed, right? So keep that in mind and stay alert if you want to maintain your hold on a point or payload. “Communicate.” – This is a common tip and one that is very important. Most say to use a microphone at all times but if you are like me and have massive anxiety when it comes to using a microphone then be sure to do your best to communicate in other ways. Alerting your team to when your ultimate will be charged, that you need healing or to group up are all simple, effective ways at properly communicating import things to your team. If you are on PC, utilize text chat if you are uncomfortable with the microphone. Being completely silent and not communicating at all is a huge detriment when trying to work with a team. “Use ultimate abilities in tandem.” – This is a great tip for teams that are communicating especially well. Using multiple ultimate attacks in tandem can be a massive game changer. Not using them together can mean wasting ultimate abilities which in turn leads to defeat. Again, this is a team game so work with your team. Wait until your team’s Zarya or Mei uses their ultimate before jumping in with Death Blossom or Dragonstrike. While some ultimates may be temporarily helpful alone, coordinating them can literally win you the game then and there in many cases. I hope these tips are used to make more people better Overwatch players, to help them understand the game and what it takes to be successful when playing it. At the end of the day it all comes doing to using you head and being aware of your team. Your team is only as strong as it’s weakest member so work together to boost each other up, even if that means not getting the most eliminations or being the team’s MVP. Please feel free to add any other tips you may have to comment section below and happy gaming, friends!